Perfect for smaller spaces, the Melchior Dining Table by Eichholtz is beautifully styled to complement a range of interior design schemes. 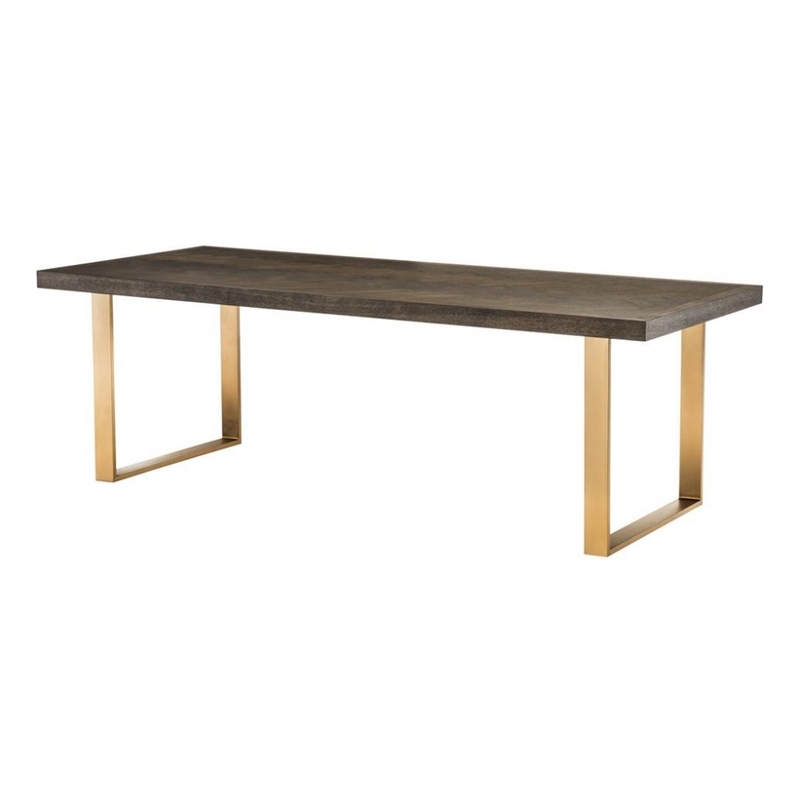 Available in a rich brown oak veneer with brushed brass legs or deep Charcoal oak veneer with bronze legs, the Melchior Dining Table is an exquisite example of the highest quality craftsmanship and materials. The classic herringbone effect table top makes great use of the wood veneer graining, perfectly offset by the stunning metal frame. Style the Melchior Dining Table with bench seating, Moroccan inspired coloured lantern lighting and tasselled throws and cushions for an on-trend Boho Chic theme, or layer classic Mid-Century Modern chairs with shaggy faux fur seat cushions, add storm lanterns and artisan dinnerware for a laid-back Scandi or Alpine Chalet look. For further details of our extensive directory of Eichholtz luxury homewares and other, similarly high quality interior brands why not contact our interior design team who can offer expert advice and inspiration to help you create your perfect interior.